A young person’s career is their pathway through learning and work. All young people need a planned programme of activities to help them make decisions and plan their careers, both in school and after they leave. The aim is for each student to manage their careers, sustain employability and achieve economic well-being in order to make a positive contribution to our community and society. 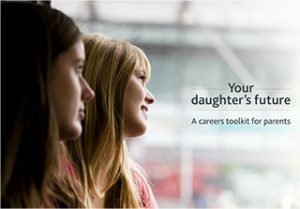 Please find on this page a constantly evolving collection of resources made available to help you and your child with their career path. Apprenticip Opportunities available through Learning Curve Group: Click above to download/view. Connexions Sunderland offers confidential advice and support services for all 13-19 year olds (and up to age 25 for young people with special needs). City of Sunderland College is one of the largest colleges in the UK and can offer many courses and facilities you wouldn’t normally expect. Choosing a career to pursue can be really difficult. Matching your abilities, skills and personality to a lifelong career choice is something that oftens feels like looking down a dark corridor with even darker doorways leading to your future. Venerable Bede School is committed to providing a planned and impartial programme of careers education, information and guidance incorporated within the Personal Development programme for all students in Years 7-11 in partnership with Connexions Sunderland. We have a designated Level6 qualified matrix accredited Personal Adviser assigned to our school. His name is Mark Rowlands and he can be contacted via school, by leaving a message with school reception. Mark predominately works with Year 11 students ensuring that they have a suitable post 16 progression learning opportunity. Other year groups are informed when Mark would be available for any general advice and this is delivered via a drop-in at a set times in the academic year. Venerable Bede Academy is currently pursuing the Inspiring IAG quality award in our efforts to follow best practice and the Inspiring IAG Code of Practice underpins our careers provision in school. Ensure the organisational policies relating to careers education, information, advice and guidance (CEIAG) are up to date regularly reviewed and reflect this code of practice. Mr. Paul Young is the Leading Teacher for Careers Education and Guidance and can be contacted on extension 1121. All students from Years 9 to 11 should have a KUDOS account which they created in school. It is accessible from anywhere with their own log-in details and can be updated frequently.